News that the girls had reformed emerged in late January 2006, with an announcement that they had signed with Parlophone Records in the UK. In early November 2006, their comeback single, "Rock Steady", was released in the UK along with a remix by Toronto's MSTRKRFT. While the single reached #3 on the UK singles charts, the full album released shortly afterwards failed to ignite as much interest, reaching #40 on the UK Charts. A second single, "Chick Fit" was to be released at the end of February 2007, but it ended up being a download-only release. An announcement quickly followed that All Saints had parted ways with Parlophone. The girls retain all rights to the album and are planning to keep on despite press negativity. After some searching, I was able to pick up the CD...not many stores were even aware that it had been released over here in Canada. Great job at promotion EMI! What a brilliant idea to release a CD weeks after the group isn't even on the label anymore. I guess that way the "low sales" excuse can be justified. 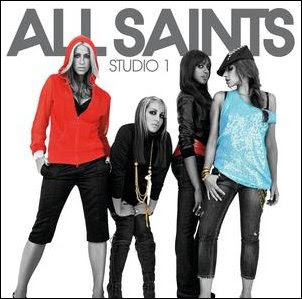 Anyways, for those who do enjoy All Saints, the album is quite fun and shows the band maturing in their sound, mixing up the Pop and R&B with Ska, Reggae and Electro influences. Listen to the Kissy Sell Out remix of "Chick Fit" below. If you like what you hear, pick up the domestic copy in stores or on iTunes.